This is fresh off our pit, de-boned, and then smothered in our special sauce made especially for chicken. 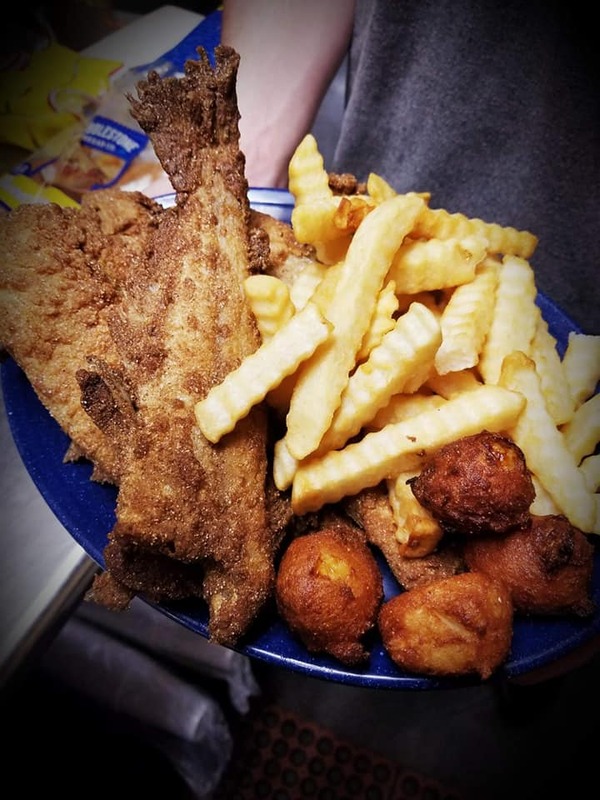 Southern Fried to a golden brown, with fries creamy cole slaw, homemade hush puppies, lemon. onions & pickles. You can purchase a 4 ounce side or an 8 ounce side. 4 ounce side of your choice. 8 ounce side of your choice. 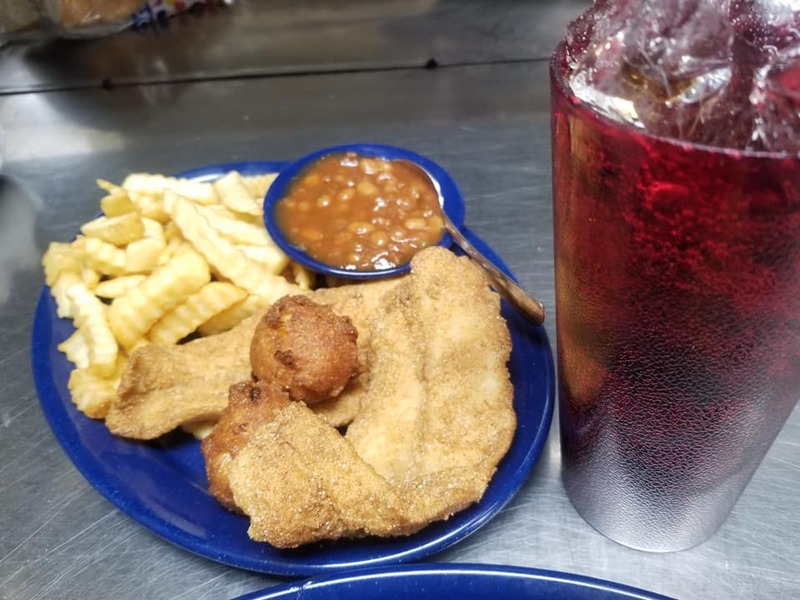 Only served after 5 p.m.
You can make it a plate with fries and slaw! Chopped or sliced. Served on a sesame seed bun with our famous secret sauce. 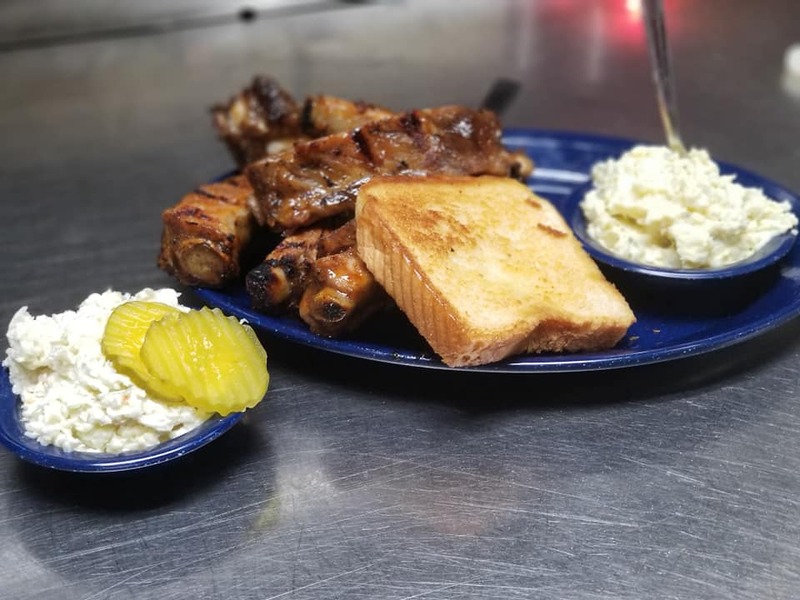 Smothered in our secret rib sauce, then served on a sesame seed bun. Made from fresh ground beef. Prepared anyway you like it & served on a bun. Grilled Texas Toast with double cheese! 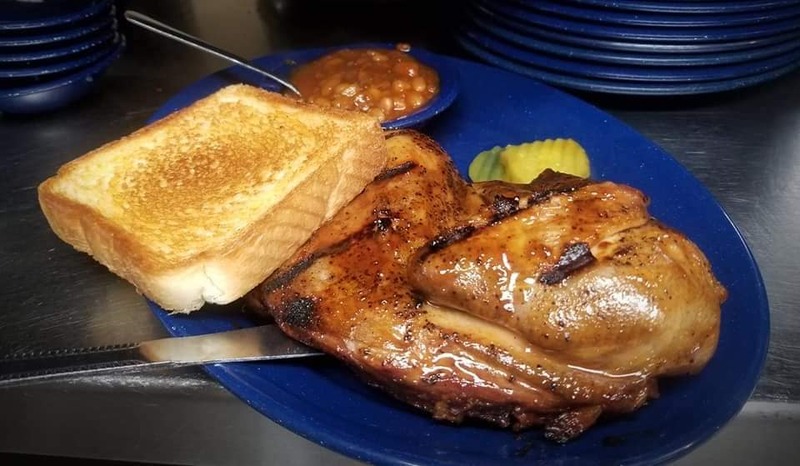 Boneless, skinless and marinated just right. Served with lettuce, tomato, mayo and & pickle. A larger than normal cubed-steak seasoned to perfection. Comes on a seeded bun with lettuce, tomato, mayo and pickle. Our Hot Dog made with mustard, ketchup and onions topped with our creamy cole slaw. Made just like the slaw dog, only topped with Roger's World Famous Stew. 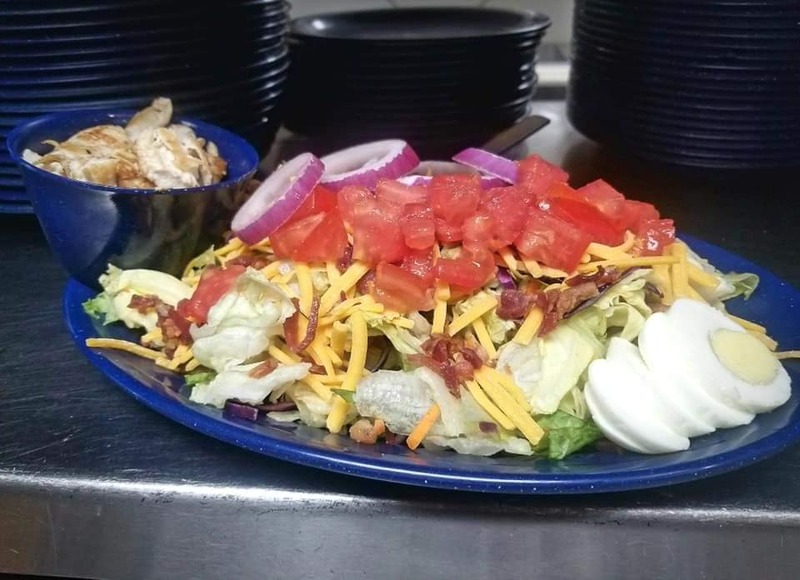 Large bowl of fresh iceberg lettuce served with diced tomatoes, shredded cheese, bacon, purple onions, and eggs. Tender Chunks of "Pit-Cooked" Bar-B-Que Pork on a bed of fresh mixed greens, diced mushrooms, shredded cheese, eggs, purple onions, and bacon. A mixture of fresh greens served with diced tomatoes, shredded cheese, eggs, purple onions, and bacon topped with a delicious grilled chicken breast. Crispy tender chicken tenders a top fresh mixed greens, tossed with diced tomatoes, shredded cheese, eggs purple onions, and bacon. Pleased to offer these items to children under 12 when accompanied by an adult/ Served with fries and a drink.